PIRACY in Somalia is the most expensive maritime criminal threat to shipping, despite its respite in recent years and the vastly larger human toll incurred by piracy in West Africa. The Gulf of Guinea has been plagued by attacks this year, often resulting in the abduction of crew. Last week, four seafarers were kidnapped off Nigeria, a few weeks after 12 more were kidnapped from a general cargo vessel. The number of piracy incidents doubled off the coast of East Africa in 2017 compared with 2016, according the annual State of Piracy report by One Earth Future’s Oceans Beyond Piracy programme. 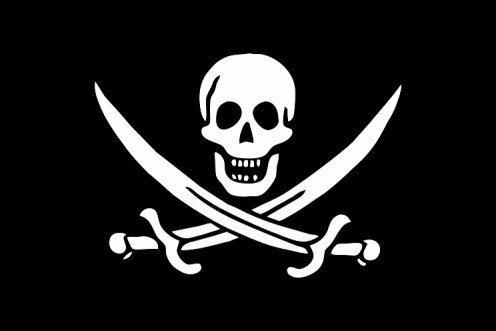 The report found the economic cost of piracy in East Africa during 2017 was $1.4bn compared with $804.6m in West Africa. Somalia’s waters were rampant with criminal activity in the previous decade with dozens of vessel hijackings and kidnapping incidents between 2007 and 2012. However, co-ordinated international naval operations and the deployment of private maritime security curbed the attacks to the point where vessel hijackings had ceased until 2016. Last year there were four vessel hijackings in the West Indian Ocean. Somalia’s $1.4bn bill includes $292m of contracted maritime security. On the other hand, $213.7m was spent recruiting coastal state embarked personnel. With the fall of piracy in Somalia, international naval activities have slowed down as well; governments spent $199m in 2017, down from $228.3m in 2016. Overall, there was a 13% decrease in the use of privately contracted armed security personnel between January 2015 and December 2017. In 2017, West Africa recorded 97 piracy incidents and 1,726 crew members affected in some way, including two crew members killed, compared with 57 incidents in East Africa and 1,102 affected crew. The direction that piracy costs are taking in the two regions may be telling; piracy costs in Somalia were at the second lowest level since 2010 and dropped $300m from 2016, whereas piracy costs in West Africa grew from $719.6m in 2015 to $809.6m this year. OBP found that spending on coastal state embarked personnel in West Africa decreased to $213.7m and regional spending on law enforcement and naval patrols increased by $13.2 million in 2017 compared with 2016. The Asia region also remains a significant concern with 17 seafarer deaths from piracy and 1,908 affected in some manner during 2017. However, OBP noted that kidnap-for-ransom incidents in Asia decreased by 80%, in large part due to the effective co-operation by regional law enforcement organisations. There were 16 seafarers kidnapped in 2017 compared with 67 during 2016.